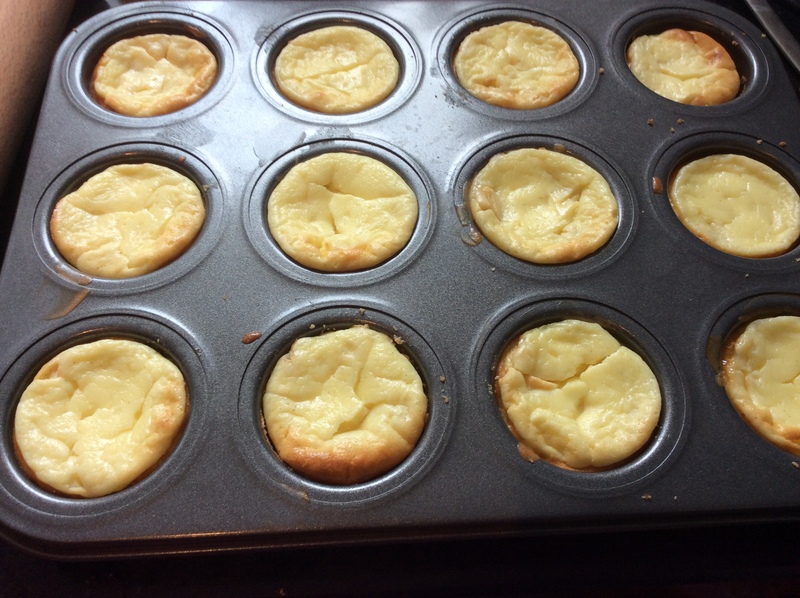 This recipe makes 12 mini cheesecakes. Top with your favourite summer fruits. 1. 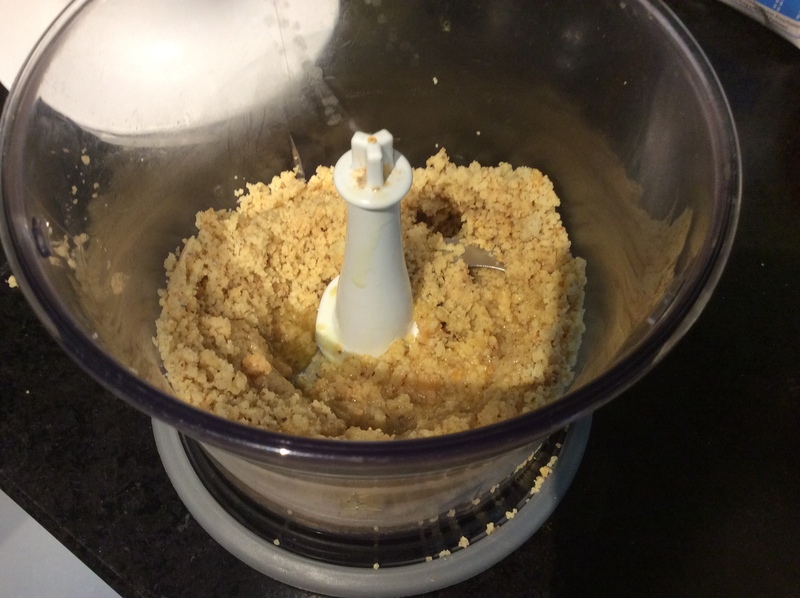 In a food processor blend the biscuits. Then add the sugar and melted butter. 2. Divide the biscuits evenly between the tins. Press down firmly. Leave to set in the fridge for 15 minutes. 3. Make the filling. 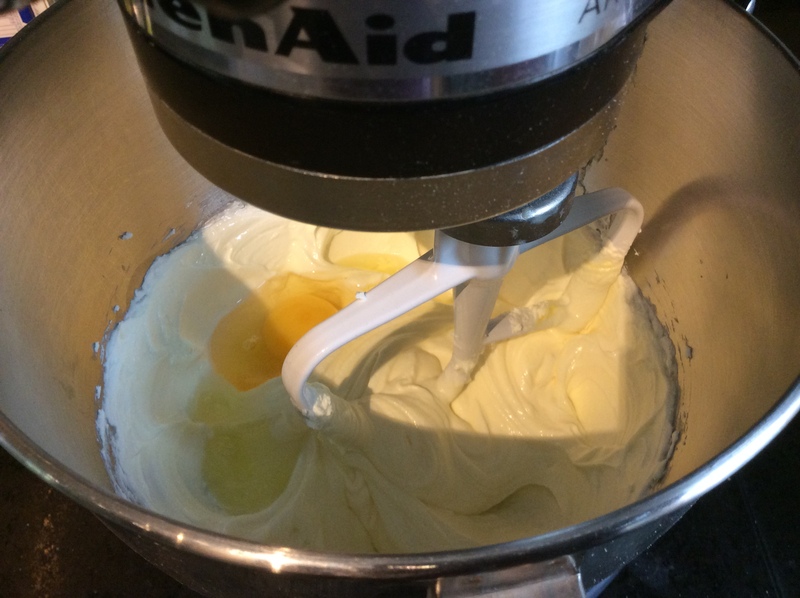 Mix the cream cheese, creme fraiche and sugar in the bowl. Add the eggs 1 at a time and mix to combine. 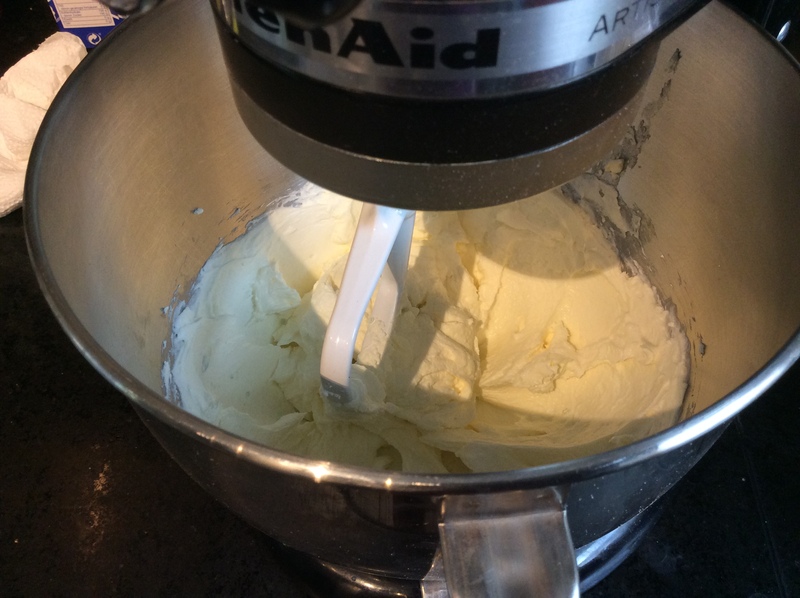 Add the vanilla extract and chopped white chocolate. 4. Preheat the oven to Fan 180 degrees Centigrade. 5. 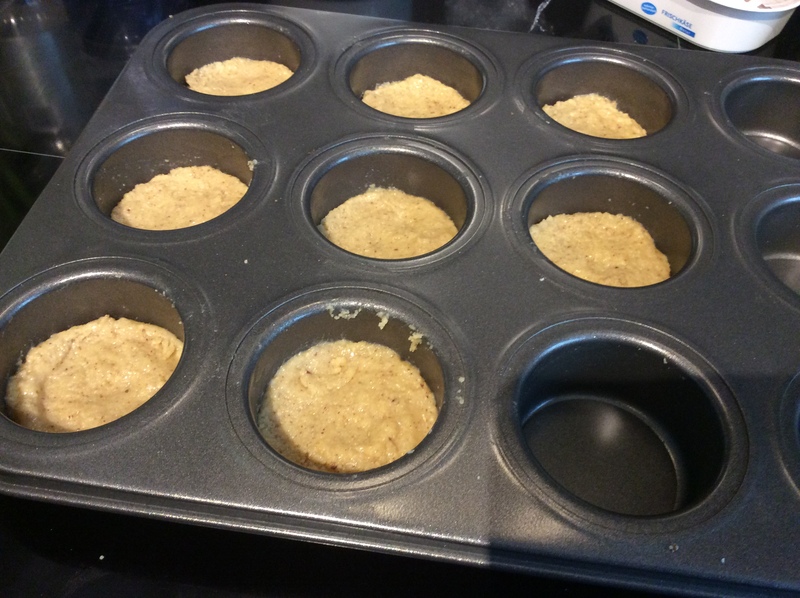 Spoon the mixture evenly across the tins. 6. 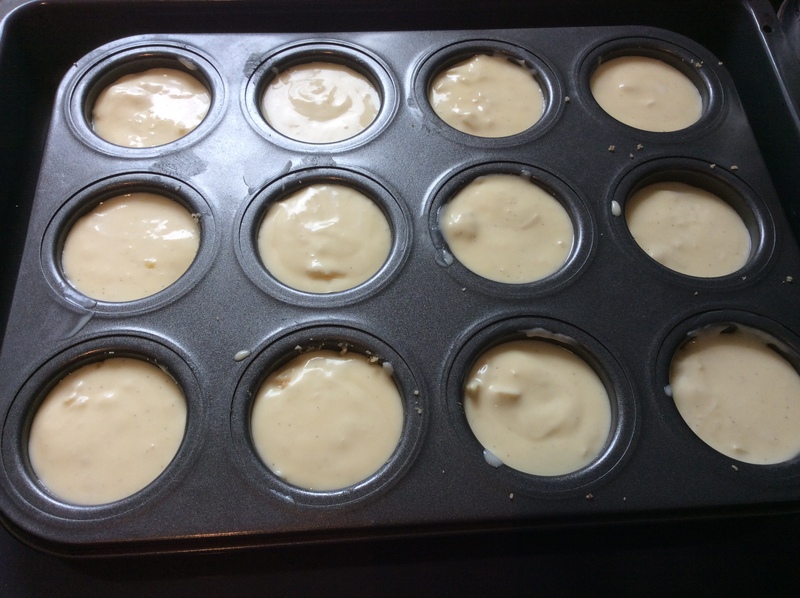 Bake for 22 to 25 minutes until the cheesecakes are almost set in the middle. 7. Leave to cool until they are at room temperature. Then cool further in the fridge. They are ready to serve after 2 hours. 8. 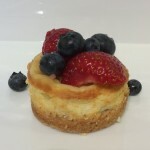 Top with your favourite choice of summer fruits and a little jam if you like it sweeter. 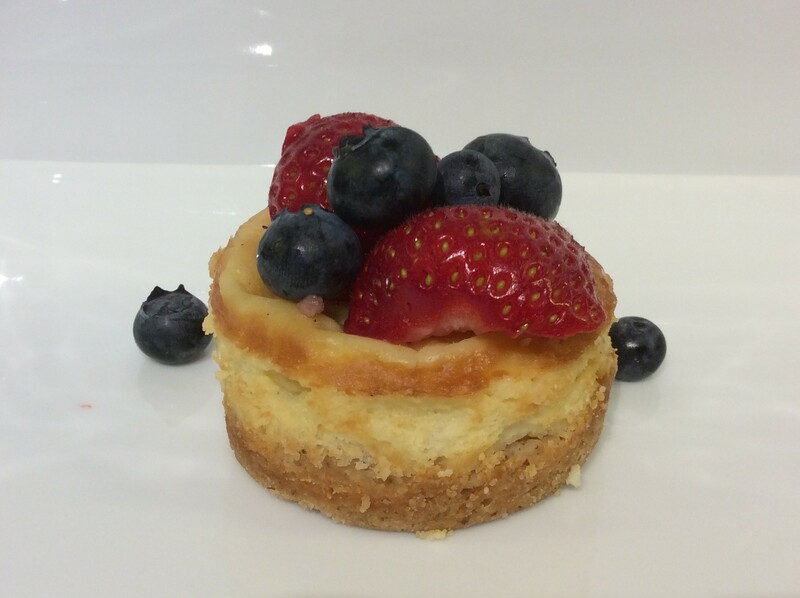 This is a simple recipe for White Chocolate Mini Cheesecakes. 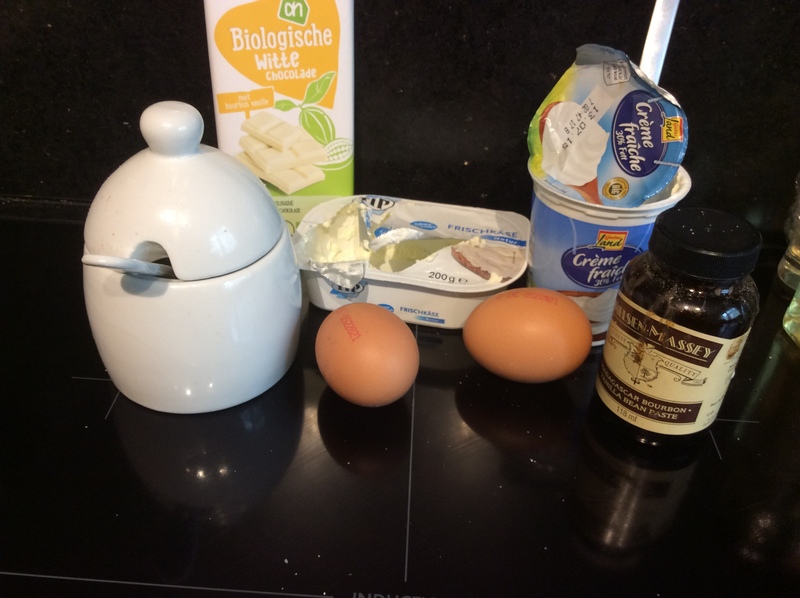 Most cheesecake recipes use loads and loads of cream cheese. In this one there is a closer balance between the biscuit base and topping make them not quite as naughty as usual. 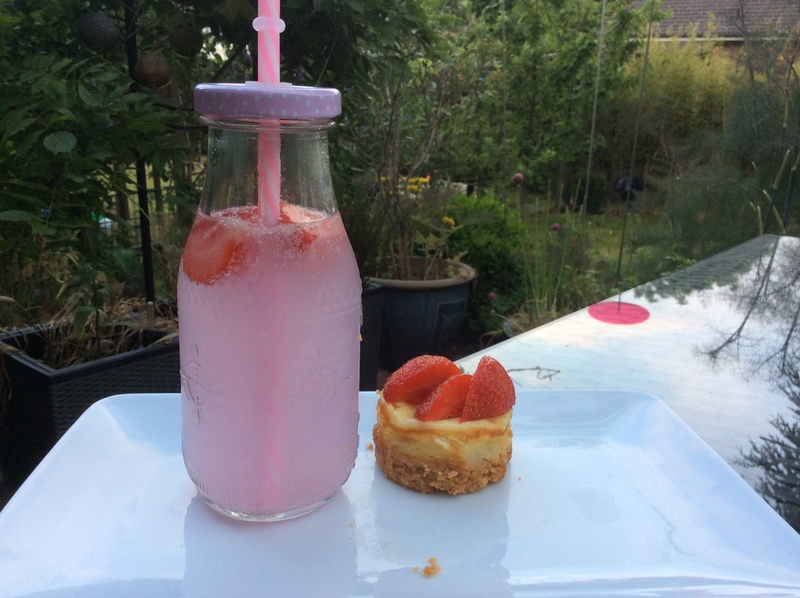 Top the cheesecakes with your favourite summer fruit, we choose strawberries this time, raspberries and blueberries would also be great choices. Really loved these at your house. Thumbs up!